Citizen from Toledo, Ohio and Detroit, Michigan have announced their first ever trip to mainland Europe. 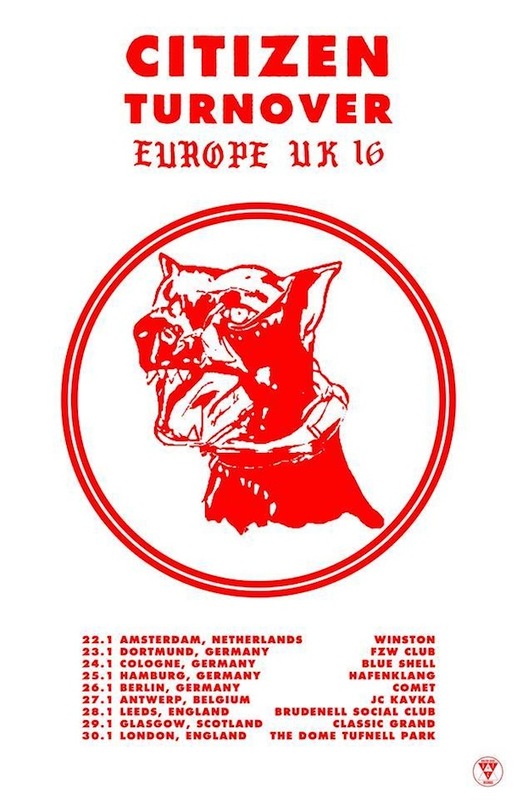 In 2014 they joined Diamond Youth on the road in UK along with Headroom, but in January 2016 they’ll be embarking on their first ever European tour joined by their label mates in Turnover. Tickets are on sale now, so make sure to get them while they’re hot! Tags: 2016, Bandcamp, Citizen, Europe, European Tour, Facebook, January, Tour, Turnover, UK. Bookmark the permalink.